We were delighted to see this TV news story about some friends of ours who just renovated a loft near our gallery on Main Street, Newberry, SC. Barbara and Franklin Miller are a very entrepreneurial couple. They also opened a “pop-up” retail space which featured local artists’ works including Franklin’s beautiful paintings. That “pop-up” venture is finished now but it’s another great example of the type of innovation happening here on Main Street! 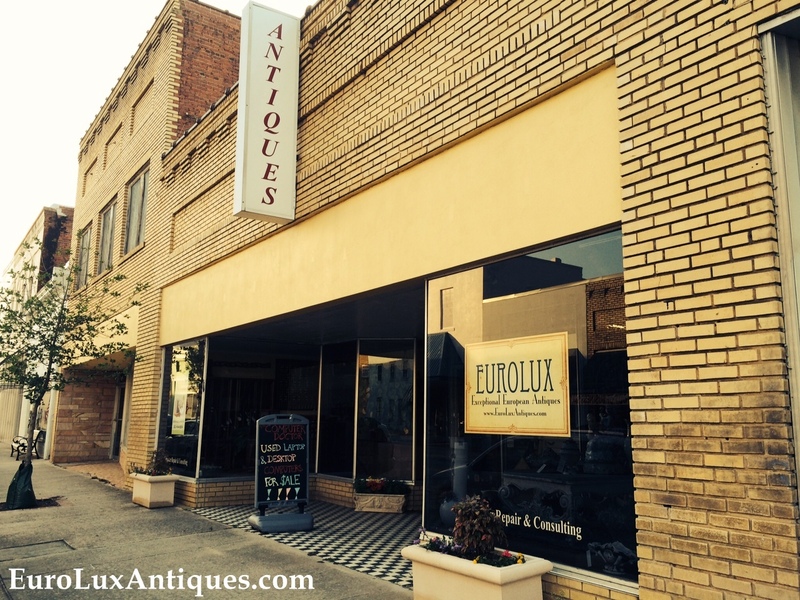 In my last blog post celebrating the 10 year anniversary of EuroLux Antiques, I explained how we’d moved to Main Street in Historic Downtown Newberry about a year and a half after we started the business. I have always been a big supporter of the City of Newberry and we’ve been very happy with our move to Main Street. The City of Newberry is very progressive and super-supportive of local merchants. I’ve served on marketing committees where the City has openly solicited feedback from merchants and engaged in a dialogue in order to listen to our ideas. The City has also provided free Wi-Fi for the convenience of shoppers downtown, and it organizes quite a few festivals throughout the year. I’ve written before about how much Greg and I enjoy Newberry Oktoberfest. It’s just one of the events that draw people to our area. Visitors soon learn why we’re known as the City of Friendly Folks! The City’s new initiative to provide a 90% grant for local business and property owners to fix up their buildings is fantastic in my opinion. I believe more than 20 businesses have participated. Their plans have ranged from fresh coats of paint for peeling buildings to beautiful, colorful awnings that brighten up the street. The City recently planted trees up and down Main Street and even started a flower box program, where large planters were placed outside of businesses up and down Main Street and filled with seasonal flowers. All we have to do is promise to water them. I’d say that is a great deal! The City also prints a Shopping and Dining Guide featuring all the downtown merchants, and does extensive radio, television, print and billboard advertising to draw folks from surrounding areas to Downtown. 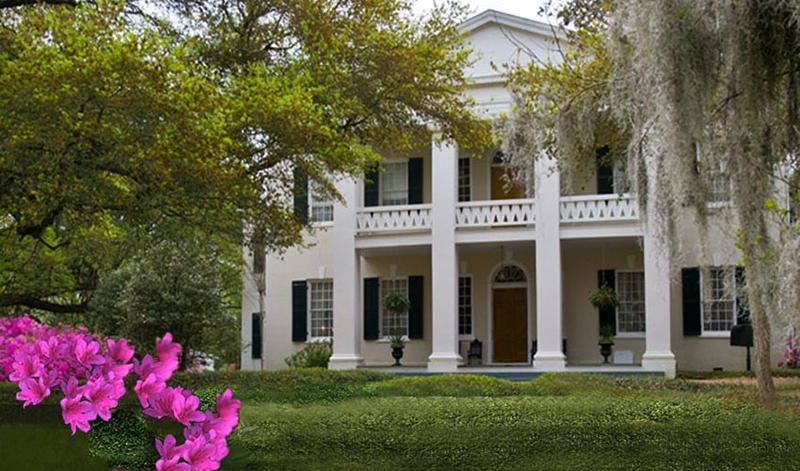 Historic Newberry is simply a wonderful place to do business and a great place to call home! Our EuroLux Antiques gallery on Main Street doesn’t have an upstairs that we can convert into a loft like the Millers did. However, we also own 1407 Main Street, next door to EuroLux Antiques, where Greg fixes computers and cell phones in his business The Computer Doctor. That building does have an upstairs loft. When we bought the building years ago we planned to renovate, like the Millers did, and convert it into an upstairs loft apartment. Squiggy in the window, welcoming people to the gallery! We ended up finding our little 1920s bungalow that we’re renovating. Since it had a yard for the dogs, we decided it was a better place to live than the loft. 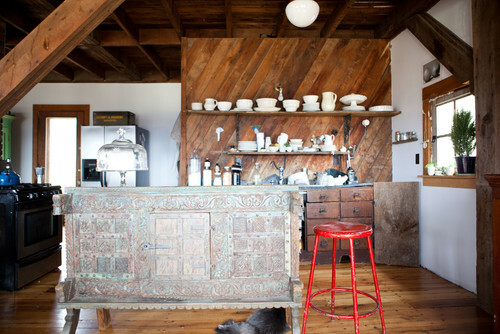 We do plan to renovate the loft in the future though as it is a very cool space. There is a neat historic story behind our Newberry Main Street building – I’ll tell you about that another time! If you plan to visit us in Newberry, SC, you’ll find lots of good information at the City of Newberry’s website, including all the local shops and restaurants, and the places to go antiquing. Come by and say hi! 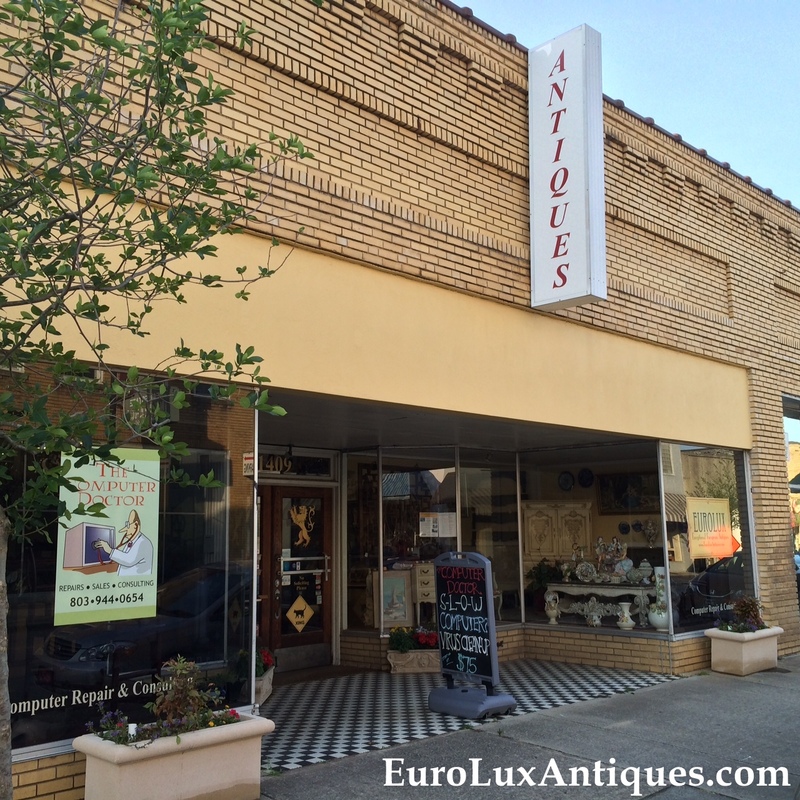 This entry was posted in News and tagged Antique Furniture in Newberry, Antiquing in Newberry, Downtown Newberry South Carolina, EuroLux Antiques, Newberry, Newberry South Carolina, renovation on May 27, 2014 by admin. It’s been fun to look back over the past ten years of EuroLux Antiques as we celebrate our 10th anniversary and remember how far we’ve come. So much has changed – even our name and our location! We actually started our business as EuroLux Imports – meant to convey that we were importing hand-selected, high-quality luxury goods from Europe. Our logo was a rampant lion with our name in script lettering. The lettering was so fancy you could hardly read it. We also originally opened our business outside of Newberry on CR Koon Highway in a large metal pole building. 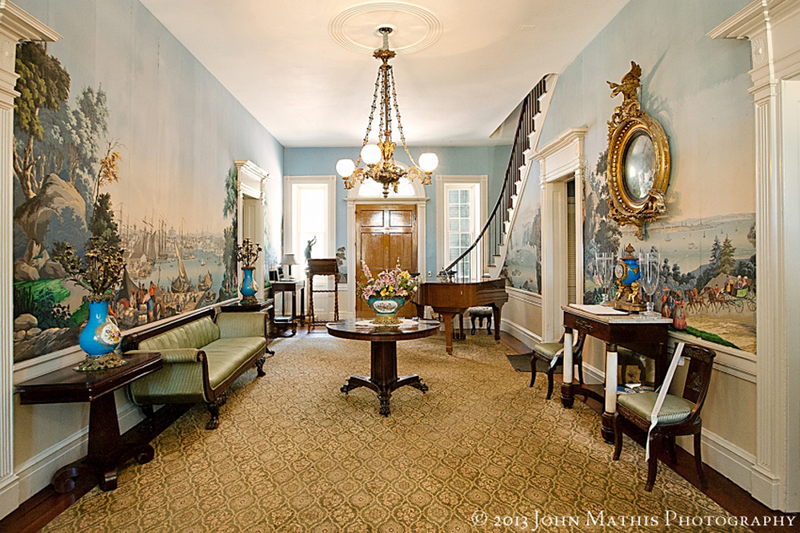 Here is a glimpse of the outside and the inside of our original building. I still remember the day our sign went up, I was so excited! It finally felt real – we really had our own business! 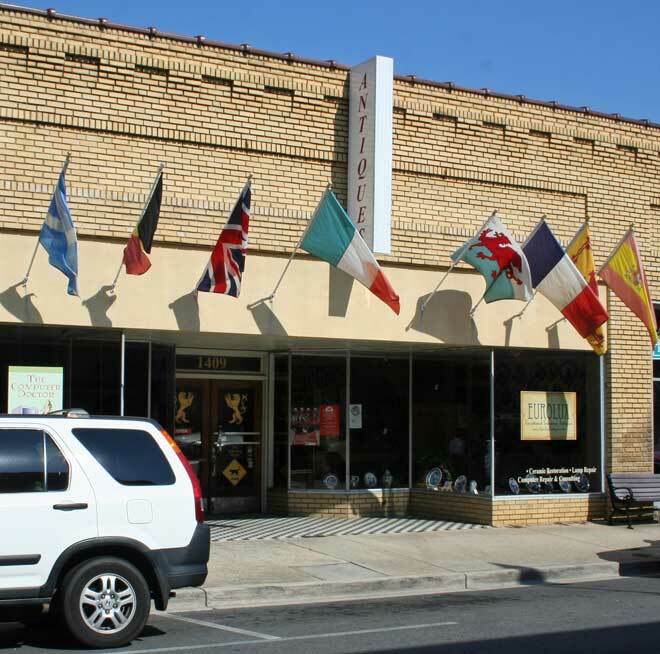 After a year and a half, we decided to move to Historic Downtown Newberry and we purchased our current gallery, a two story building at 1409 Main Street. All of the other antiques shops in Newberry were concentrated on Main Street, so we increased our walk-in traffic. 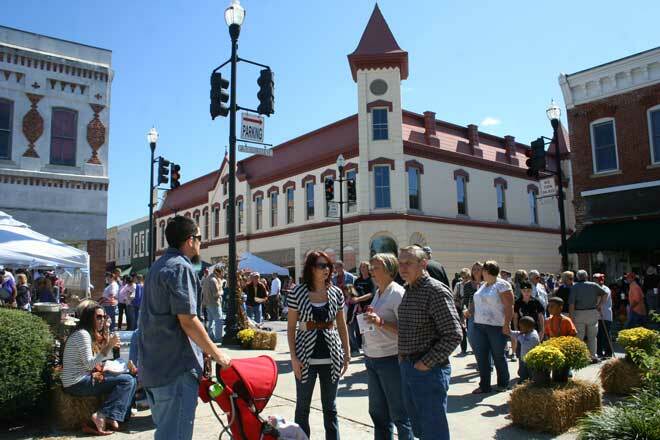 And Downtown Newberry is so cool, we love being part of the neighborhood! Also, the new gallery was much more convenient for receiving containers of European antiques. In our old space, we had to move everything to the walls so that we could unload directly into the middle of the room. Then the shop was a disaster for a week or more while we sorted everything out. Now we just unload directly into the basement level so that we don’t mess up the gallery! We also enjoyed moving to Downtown Newberry as we joined a thriving community of other small business owners. I was honored to serve as President of the Downtown Merchants Association for three years and Greg served as Treasurer too. There is quite a bit happening in Downtown Newberry these days, but I’ll tell you about that another time. For now, we’re just happy to look back over our first ten years and share our journey with you. Thanks to all our customers who bought antiques from us, and who made it all such fun! 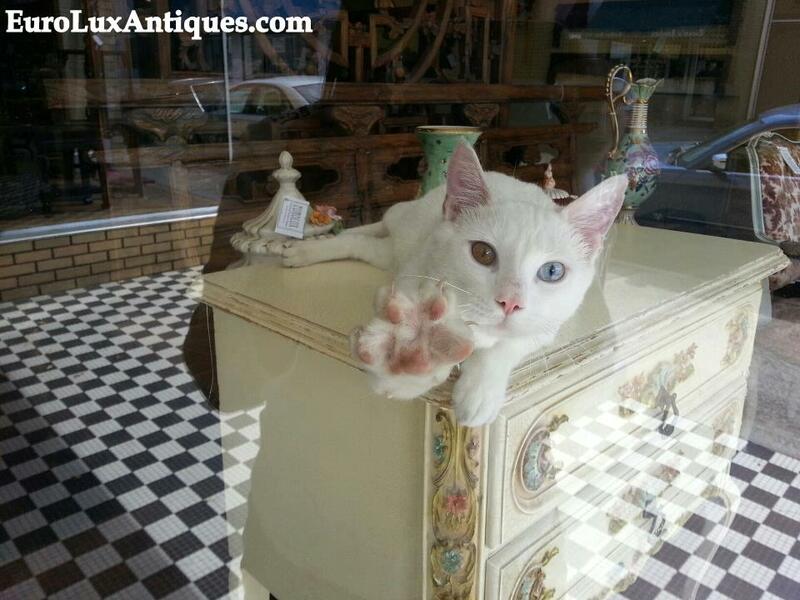 This entry was posted in Antique Furniture, News and tagged Antique Furniture, Antique Furniture in Newberry, Antiques in Newberry, Antiquing in Newberry, Downtown Newberry South Carolina, EuroLux Antiques, EuroLux Antiques Anniversary, Newberry Antiques, Newberry South Carolina on May 23, 2014 by admin. Today I want to tell you a story about a client who bought an Art Nouveau chandelier from us. I am always delighted and grateful when people send us photos for our spotlights on customers’ homes showing the furniture they have purchased from EuroLux Antiques. I don’t think we’ve had a spotlight on an Art Nouveau chandelier until Gary sent us some photos! Gary P. lives in Cary, NC, and he is a very nice guy with wonderful taste. He is a commercial pilot and he flies all over the world. He always tries to find antique shops to visit wherever he lands. When Gary was in Rome, Italy, he found a handsome antique chandelier in a little shop, but the antique dealer wouldn’t negotiate the very expensive price. 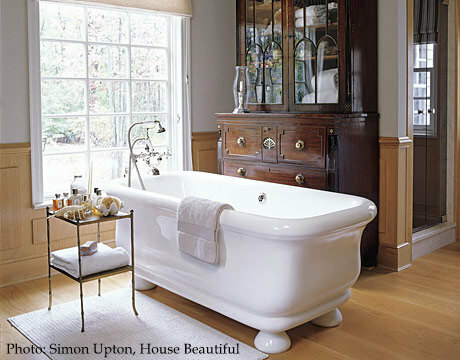 Gary spent a little time researching antique chandeliers online and found our website at EuroLuxAntiques.com. As we are in South Carolina, Gary was delighted that we were within driving distance, so he decided to make a road trip with his good friend Kathryn. Gary relies upon Kathryn’s good design advice. Isn’t it great when you can trust a friend’s taste like that and know that it will match your own? Gary was impressed with our wide selection of antique and vintage chandeliers and was also happy that our prices weren’t anywhere close to those pricey fixtures in Rome – although he insisted our quality was just as top-notch. 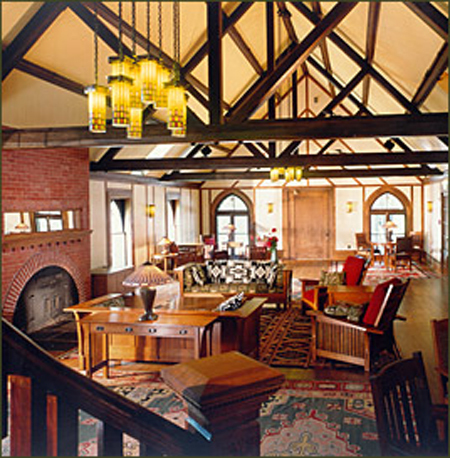 We’d love to see more photos of the dining room as it evolves. 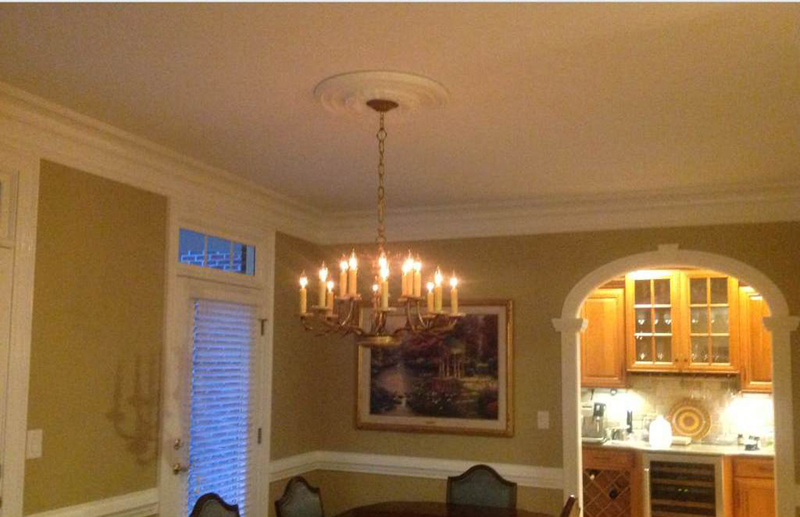 Meanwhile I’m sending a big “thank you” to Gary P. for sharing the photo of the Art Nouveau chandelier in its new home. 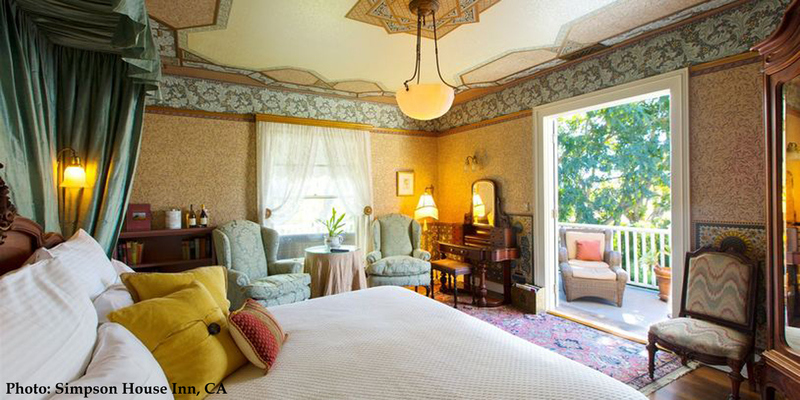 If you are a fan of the Art Nouveau style, you can see all our Art Nouveau furniture and decorative home accents here. 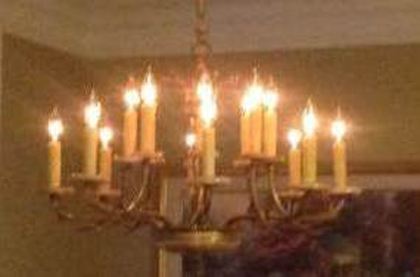 Or just check out all our vintage and antique lighting and chandeliers in many styles. This entry was posted in Client Spotlight, Vintage Lighting & Chandeliers and tagged Antique Lighting, Art Nouveau lighting, lighting, Vintage Lighting on May 13, 2014 by admin. Even though nailhead trim is especially fashionable now it is never really out of fashion, so you don’t have to worry about it looking dated in a few years. 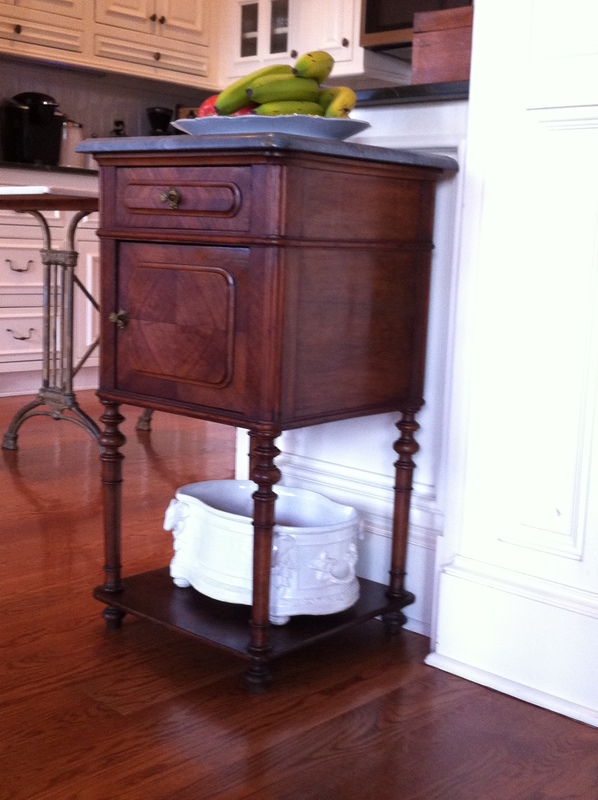 Nailhead trim is a classic detail that goes back 400 years. Nailheads were a practical way for European craftsmen to attach fabric or leather to the wooden furniture frame. For example, we’ve got this very rare set of antique French Hunting chairs from 1880 in the gallery. We have never seen embossed leather on a set of Hunting chairs before. 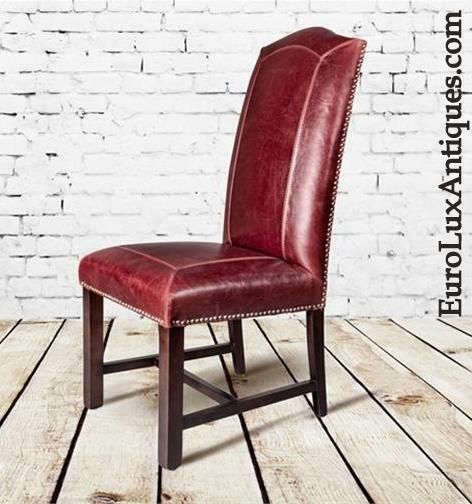 But you can see that the beautifully embossed leather panels on the seat and back are attached to the ornately carved oak chair frames by attractive nailheads. 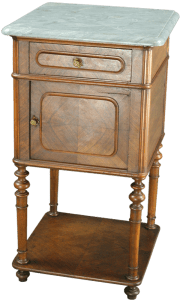 Let’s have a look at some of the other nailhead trim furniture in our gallery, whether traditional or more contemporary or transitional in design! 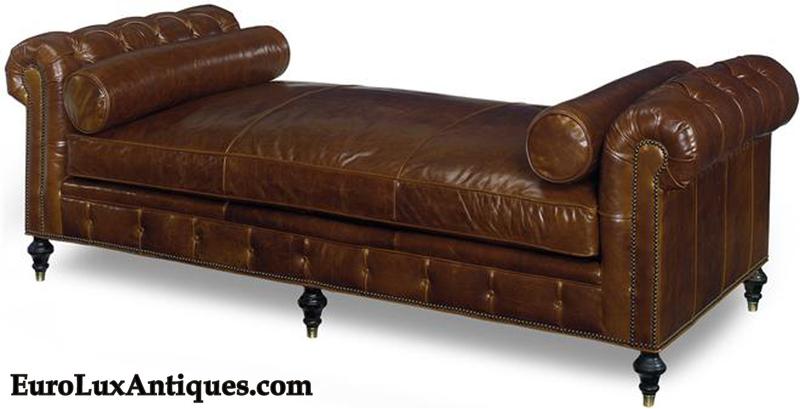 This new Chesterfield leather daybed is hand-made to order in the USA by an American company we work with. As you can see, the top grain leather upholstery is accented by a beautiful nailhead trim that gives it a traditional feel. Each brass nail is hand-driven on this nicely crafted piece. Like all the other custom-made in the USA leather sofas from that company, the daybed is available in many leather colors. The decorative nails on these newly crafted Cloister style leather dining chairs are also applied by hand. The nailhead trim serves to accent the sleek lines of the wine red leather panels. 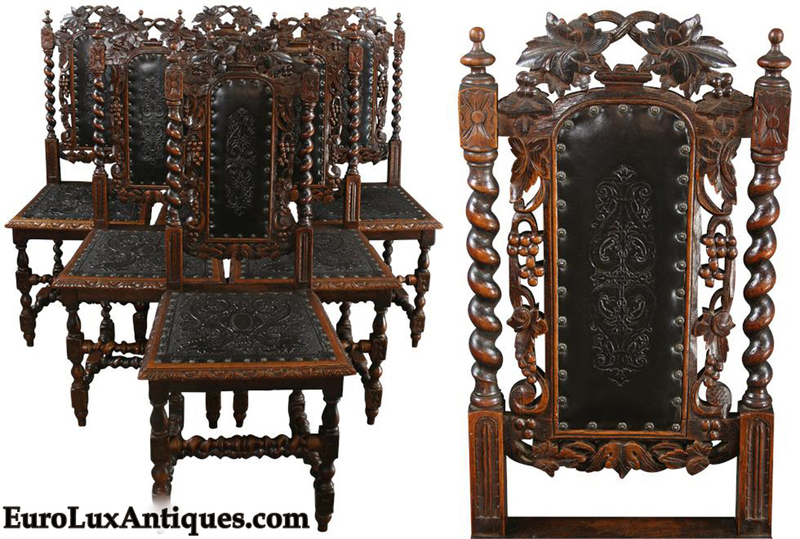 These Cloister style chairs remind me of medieval castles and churches! It’s a specialist craft to apply the nails because they have to be perfectly spaced and you have to get it right first time to avoid damaging the upholstery. The small, family-owned company that makes these chairs employs craftsmen who know how to drive the nails by hand, of course. But if you are are trying to do a DIY project and you don’t have the carpentry or upholstery skills, then I know that you can buy faux nailhead trim by the yard. I would not recommend doing that to antique or high-quality furniture! Also, the faux nailhead doesn’t look as good as the real thing because you can see the strips joining the mock nails. 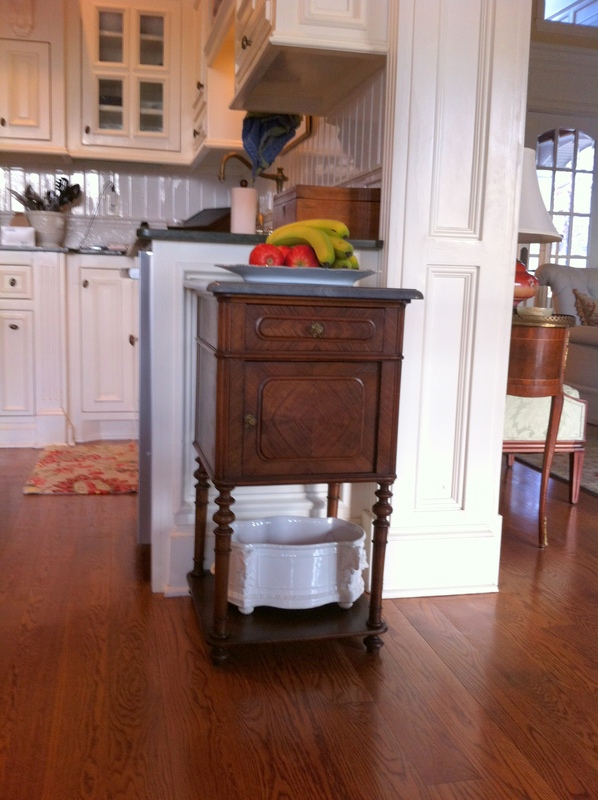 But it might be a fun way to freshen up a cheaper piece of furniture. 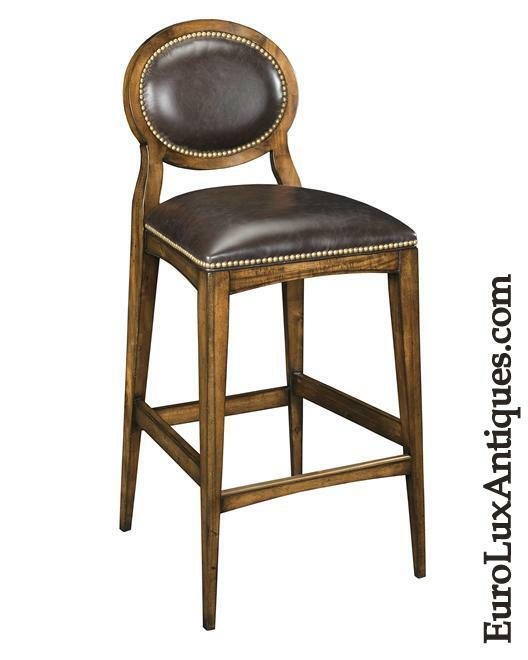 This new leather stool certainly does NOT rely on faux nailhead by the yard! It is hand-crafted by Woodbridge Furniture Company and I wanted to show it to you because the nailhead trim is so integral to the design. The bold nails outline the sculptural oval back, almost acting as jewelry for the furniture. If you need any more convincing that nailhead trim works across many styles of furniture, this fabulous Ambella Home sideboard from the Manhattan collection should do the trick. 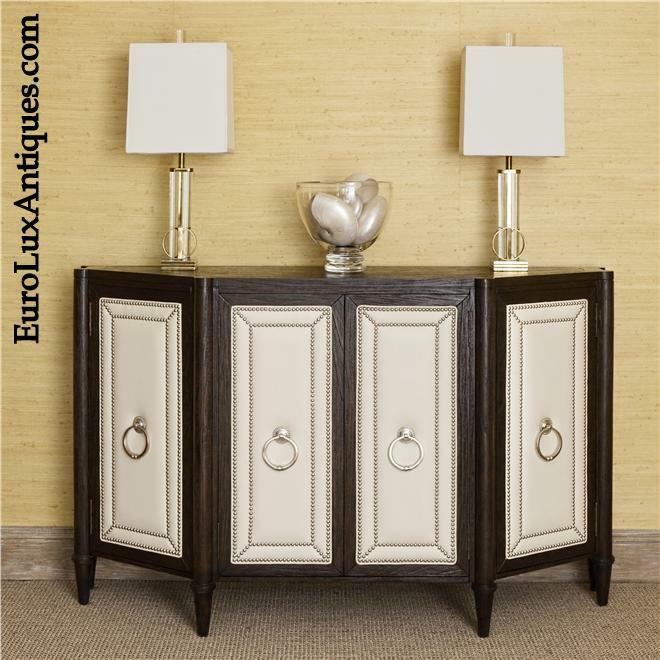 The angular demi-lune shaped sideboard boasts white leather-look upholstery on the doors, studded with nickel nailheads. Polished nickel ring door handles match the nailheads. The result is classic, high-end, and sophisticated, but with a little edge! The Ambella Home Manhattan collection also includes beds, dining chairs, and other furniture with this design, so ask us about it if you love the look as much as we do! This entry was posted in Antique Furniture, Home Design Ideas and tagged 2014 design trends, Ambella Home, antique French Hunting Chair, design ideas, expert craftsmanship, high quality reproduction furniture, Hunting Style, interior decor, interior design, Leather furniture, Woodbridge Furniture Company on May 8, 2014 by admin.